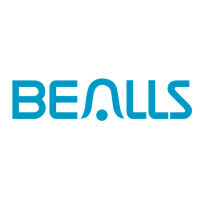 When filling out a Bealls Florida application, make sure you are applying with Bealls Florida as not all stores that carry the Bealls name (generally Bealls Outlet stores) are run by Bealls Inc. Links specifically to apply for jobs at Bealls Florida are at the bottom of this article. Started as a dry goods store by Robert Beall Sr. in 1915, Bealls Florida was originally called The Dollar Limit, as everything cost a dollar. In 1918, the name was changed to the V (Five) Dollar Limit, as post World War I inflation had forced him to raise prices. During the depression, the bank foreclosed on his store, but Beall Sr. was able to buy it back in 1940. In 1946, Beall’s son, E.R., joined his father and the stores were renamed to Beall’s Department Store. New stores followed, another in Bradenton, Florida in 1956 and in 1961, a store in Venice, Florida. E.R.’s son, Robert Beall II (Bob) joined the company in 1970. By 1987, Beall Outlet stores were being built, and in 1992, the first Beal Outlet store was set up outside of Florida. Bealls Florida sells competitively priced clothing, merchandise for the home, and promotes a casual lifestyle for their customers. Vendors that work with Bealls Florida are expected to hold ethical and legal business practices, both in the United States and across the world. Most Bealls Florida jobs are located in stores across Florida. Few jobs are currently available at the corporate level, but there are internships for current college students to work for the corporation. Within the stores, there are many managerial positions that have you work closely with both corporate and fellow staff members. When applying for Bealls Florida jobs online, make sure you read all the job requirements carefully. Some jobs require certain degrees, diplomas, or years of experience before applying. How old do you have to be to work at Bealls Florida? Age requirements vary by position. Bealls Florida careers come with several benefits; for general store associates, ninety days after starting, health and welfare benefits start and after working two quarters for the company, access to a 401K is granted. Families also benefit with medical, dental, vision, and life insurance, as well as family medical leave and a college scholarship award program. Employees also get paid vacations, holidays, and sick days, as well as paid military leave, jury duty, and bereavement. With stores located all across Florida, most Bealls Florida stores are open Monday through Saturday from nine am to nine pm, and on Sundays from ten am to eight pm. However, holiday seasons may change opening and closing times. Loss Prevention Agent – You will watch for shoplifters and maintain confidentiality with all cases that you’re assigned to. Also, you will help enforce company policy while taking care of any other duties you are given. Compensation is above minimum wage. Area Manager – While working closely with fellow managers, you’ll help select Store Associates, Merchandise Handlers, and Visual Merchandisers. You will also help your team to meet various customer service related standards. Compensation is above $30,000 a year. Merchandise Manager – As corporate comes up with new presentations, you will lead the entire store’s coordination to implement it. You’ll be working with the Store Manager and Regional Manager of Merchandising to push sales and discuss business opportunities. You will also aid in the development of all merchandise presentations. Compensation is over $40,000 yearly. Operations Manager – Merchandise getting to the floor is what this job entails. Also, you’ll help empower in-store staff, while making the store more efficient and taking appropriate risks to get good results. Compensation is over $40,000 yearly. Sales Associate – Great customer service is key to this job. Aiding customers through greetings, sales, and maintaining positive fitting room environments enhances customer experiences to encourage them coming back. You must have great communication skills in order to work effectively with fellow staff members, managers, and customers. Compensation is around minimum wage, with opportunities for making commissions. Visual Merchandiser – Working under the Merchandise Manager, you will create and make all in-store visual presentations that promote sales. You must have great communication skills, an eye for details, and a strong ability to multitask. Compensation is over $10 an hour. Why do you want to work for Bealls Florida? A common interview question, but you should be prepared for it. Explain what drew you to the company, whether it was the culture, opportunities, or benefits, and why it is your first choice. What experience do you have? Make sure you highlight all your relevant work experience. Also speak about what you’ve learned from all your previous jobs to show what a good fit you are for the job you’re applying for. Where do you see yourself in the next few years? Your interviewer wants to know your ambitions and if you see yourself having a future with the company. Be realistic in your career projections, but show that you’re willing to take on extra responsibilities and challenges in order to rise in the company. Do you consider yourself a leader? Many managerial candidates may be asked this question. The interviewer wants to know how you handle day to day challenges with fellow staff members and if you’re good at managing people. Draw from previous experience and give plenty of examples. How would you deal with difficult customers? Draw from previous jobs that you’ve held and talk about difficult people that you’ve worked with in the past. Bealls Florida is customer-based, so having people with excellent customer service is key. How to apply for Bealls Florida online: start by creating an online account, from there, you can upload a resume, and put in a general Bealls Florida application. However, if there is a certain job that you would like, there is a search box for you to use, at which point you select the job you’d like and submit a resume. If there are multiple Bealls Florida jobs that you would like to go for, you may apply to all of them, just one at a time. A printable application for Bealls Florida is not available on the website. Arrive early for your interview and have at least business casual dress. The interview will be more formal if you seek a high position, because Bealls Florida will want to make sure that they have the best candidates for managers. Show a positive attitude and respect for your interviewer, although basic, it can place you ahead of other candidates. When you come in for your interview, have a list of questions relevant to the company and position that you’re applying for. Although many of your questions may be answered during the interview process, there may be some that they miss. Always show gratitude for attending a Bealls Florida interview, make sure you ask questions about ways to check up on your hiring status once the process concludes. Few candidates learn if they got the job during the interview, as the company would like to screen all applicants before making a decision; especially if you’ve applied for a managerial position. Belk: For career opportunities, fill out the Belk online application. Macy’s: See this page for jobs at Macy’s. Nordstrom: Checkout the application page for work at Nordstrom. Costco: Visit the Costco application. Bealls Texas: For employment at Bealls Texas visit the application page.